June 2013 - Bring It! I recently delivered muffins to a friend who lost a loved one . She said it was the only thing she could eat while coping with the sadness of her loss. She was actually rationing them so as to make them last longer. I thought, good god…I better make more muffins so as to end the rationing and maybe bring her a little peace during this difficult time. And so, the Mourning Glory Millet Muffin was born. You can give muffins to anyone to ease their pain whether the situation be injury, illness, sympathy, or just to say you are thinking of someone. Preheat oven to 400 degrees. Grease muffin pans. Mix dry ingredients in a bowl. Mix wet ingredients in a separate bowl. Stir together. Add nuts and dried fruit. Bake 13-15 minutes. No real instructions needed – just wrap them in foil, put them in a basket or gift bag, add a card, and deliver. That’s all there is too it. 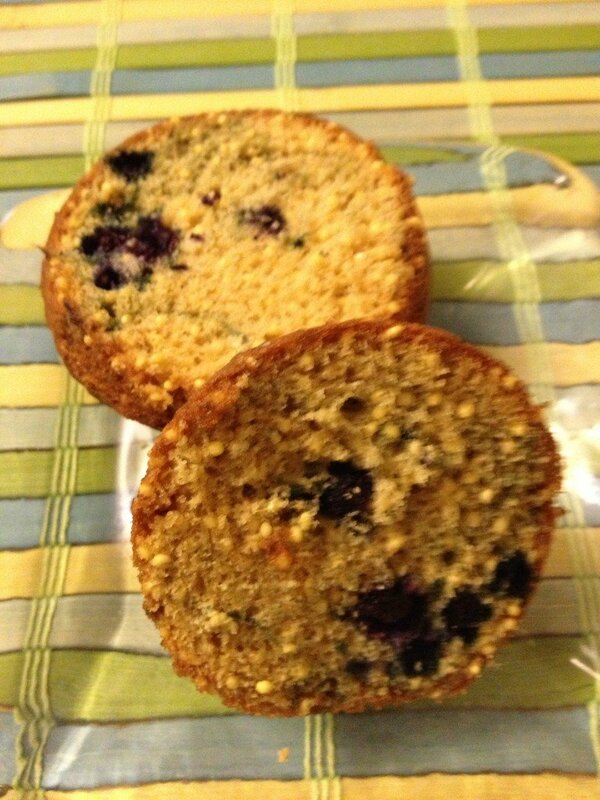 This entry was posted in Breakfasty on June 26, 2013 by Sue Hanlon.